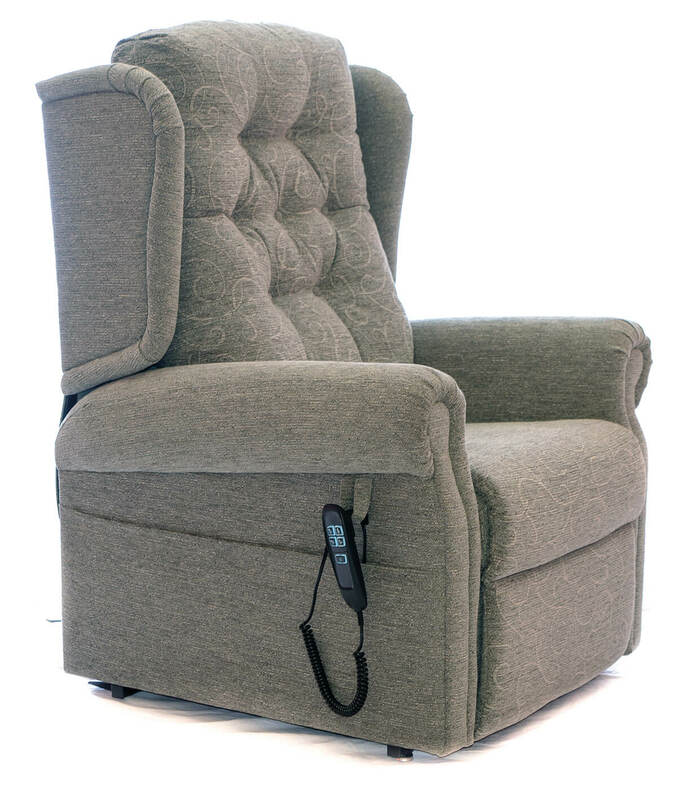 The Hampshire is an excellent riser recliner chair with a 3 pillow waterfall back for lumbar & head support. The Hampshire Rise & Recline chair has comfortable scroll arms and a full chaise footrest. This is beautifully complemented by the 3-pillow waterfall back giving you excellent lumbar and head support. Each cushion is fibre filled and can be adjusted vertically so you can find a position which suits your needs. So that you can get one of our chairs pretty quickly, we have petite, standard, and compact for you to choose from. Plus, 2 and 3-seater sofas in standard sizes. Don’t worry if the measurements of these standard sizes aren’t right for you. We can have the chairs made-to-measure, so any size is possible. Just ask! The Hampshire riser recliner chair is available in Single motor (tilt in space), Dual-motor & Dual motor (tilt in space). By choosing a Dual motor it will allow the back and footrest to move independently.